These tasty little treats came from a post I saw on pinterest, no link available, only a info-graphic picture. 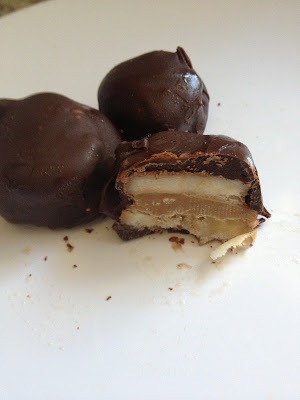 They are a super healthy dessert that can be made in huge batches and then kept in the freezer for whenever you want something sweet but do not want to spoil your diet. 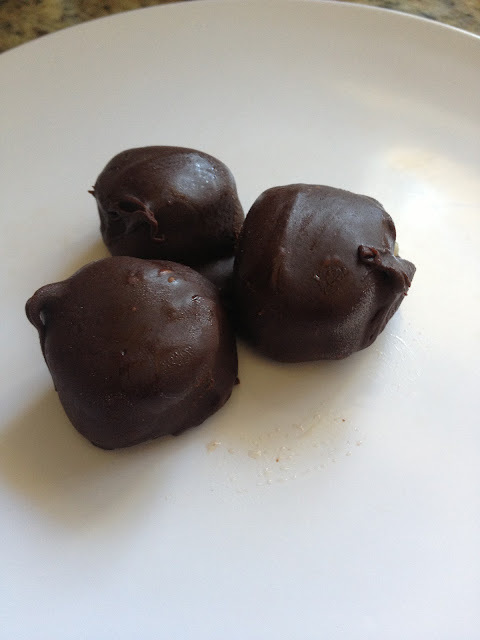 Using semi-sweet, cacao, or dark chocolate keeps the sugar content down, and you can use any nut butter you like. Just be sure to use bananas that are still bit firm and no too ripe. 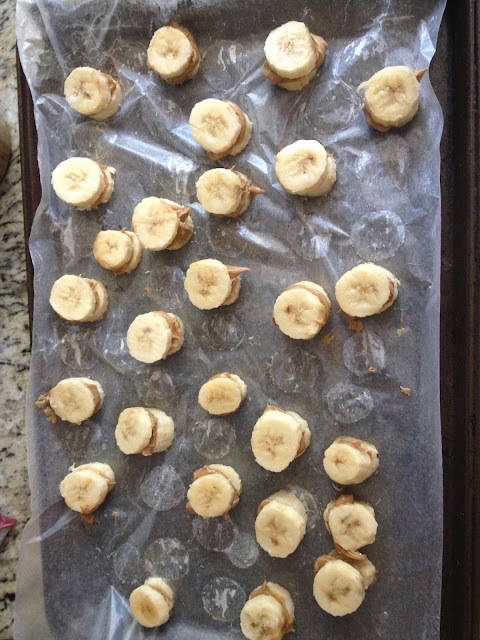 Cut banana into 1/4 inch to 1/2 inch slices and place on a cookie sheet lined with parchment or wax paper. Place in freezer until frozen. Take out slices and using a spoon place a small amount of peanut butter on top and then place another slice on top to create a sandwich. Put back into freezer until sold. Take your chocolate and melt until runny and creamy. 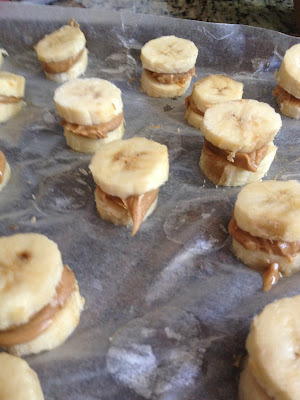 Place frozen banana sandwich in chocolate and turn to coat it. Place back onto cookie sheet and into freezer until set. Then these little delicious nuggets into a zip lock bag to enjoy anytime. Great for kids, my 5 year old nephew loves them and has no idea whatsoever that they are healthy.